You should pay close attention to your home’s indoor air quality. 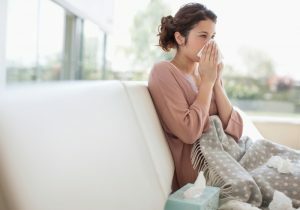 We often see indoor air quality get disregarded (especially during this fall season) because lots of indoor air quality troubles double as other common problems like fall allergy flare-ups. You shouldn’t ignore these problems, though. Your air ducts accumulate a lost of dust and grime over time because they’re responsible for distributing all the conditioned air throughout your home. 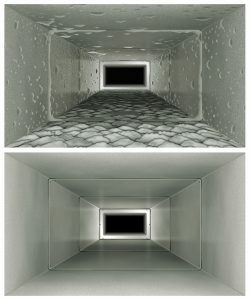 Something as simple as a duct cleaning can improve your HVAC efficiency, home comfort, and personal health. If you need duct cleaning in Boerne, TX then you should contact our team today. When you think of the word “humidity” in relation to our weather here in San Antonio, your mind probably jumps to our unbearably muggy summers. The thought of purposefully adding humidity to your home is probably enough to make you recoil. But homes here in San Antonio really can benefit from a humidifier during our colder months. You might not notice the effects of a dry climate during this time of year but they’re drastic. If you’re considering installing a whole-home humidifier in San Antonio, TX, our team at Cowboys Air Conditioning & Heating will help you find, purchase, and install the right unit. To say that summer is almost here is kind of silly in our area. With our temperatures always pretty high, we get regular use out of our cooling systems. But there is one summer threat we have that can make the higher temps even more unbearable—and that’s humidity. 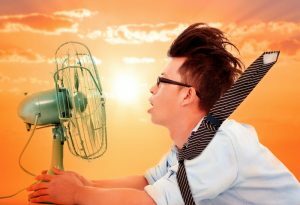 Humidity levels tend to rise as temperatures do, adding extra moisture—water vapor—to the air and making it much harder for us to get comfortable as we can’t just sweat the heat out. 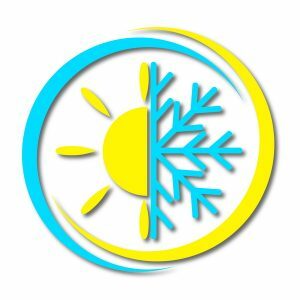 And even though humidity doesn’t actually increase the temperature, it does make us feel warmer—when this is going on in your house, you need a sufficient solution. That solution is a San Antonio, TX dehumidifier installation. Whole-home dehumidifiers come with a host of benefits. They dry out the air in your home which significantly reduces your mold risk, as well as health issues and property damage that could result from too much moisture. Still, though, many homeowners are reluctant to have a system like this installed or don’t want to run one more appliance as they fear the cost. The first thing to keep in mind in this regard is that a dehumidifier can actually help you lower your air conditioning costs. This is because when you run your dehumidifier, your air conditioner doesn’t have to work as hard to cool the home. Therefore you can set the temperature up a few degrees so your AC won’t have to run so long during the day. There are additional steps you can take, as well, to ensure you’re getting the most out of your dehumidifier and not wasting money. How Exactly Do UV Lights Work? UV lights are those systems you see in many amusement parks, and may even see while trick-or-treating this Halloween, that make your white clothes glow in the dark. That’s not their only function though—the UV lights that we install and service in your HVAC system serve a purpose of eliminating scary and harmful biological contaminants from your home. Also referred to as UV air purifiers or UV germicidal lights, these systems function as air purifiers and rid your system—and thus your air—of mold, mildew, and other microorganisms. Posted in Indoor Air Quality | Comments Off on How Exactly Do UV Lights Work? Does Your Ductwork Need Sealing? The air ducts attached to your central HVAC system provide an integral path from your heating or cooling unit to the various rooms of your home. Unfortunately, air ducts are also one of the most commonly neglected parts of any heating and cooling system since they are mostly hidden from view. Additionally, air ducts have no mechanical components. This might lead you to believe that they don’t run into many issues then. But the fact of the matter is that most ductwork leaks. These leaks might only be coming from small tears here and there, but they add up. Posted in Indoor Air Quality | Comments Off on Does Your Ductwork Need Sealing? During this time of year especially, your indoor air quality can actually be worse than that of the outdoors. You may think that the air filter which came standard with your HVAC system is the solution to this, but that is not the case. The purpose of that air filter is to protect the inside components of your HVAC unit. Your HVAC’s standard air filter can and does contribute to your indoor air quality, and works best when changed at least every 3 months. However, that is not its main purpose. For truly purified air, you’ll want to consider an electronic air cleaner, which is installed directly into your home’s heating and cooling system. Posted in Indoor Air Quality | Comments Off on What Are the Benefits of an Electronic Air Cleaner?